We bring forth to our clients an exclusive range of Globe Valve. 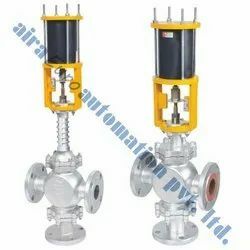 These valves are manufactured under the norms of the industry. We utilize the advanced technology and hi-tech machinery for the fabrication of this product. These products are in demand because of its unique features such as resistance to corrosion, durability and fine finishing. Rajkot Engineering Sales Corporation provides wide ranges of foot valves like Kirlosker Type Foot Valve(frictionless), Bore Foot Valve, HB-3 Foot Valves and Check Valves like Pondy Check Valve, Agro Valve (check valve), Non Return valve. 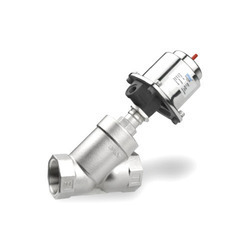 Backed by years of industry experience, we are engaged in offering a premium quality range of TDS Control Valve. We put forth for our clients a wide range of Fertilizer/Refineries & Chemical Plants Casting. With its rich industry experience and competent workforce, we manufacture these castings in line with the set industry standards and specifications provided by the client. In, addition to the standard range, we also offer customize these castings as per the clients requirement. Mounting :- Sub plate body as well as threaded port. Flow direction :- As per spool type. The products are widely used in Chemical & manufacturer industries, Refineries, Petrochemicals & Fertilizer plants, Pharmaceuticals, Oil Exploration, Thermal & Nuclear plants, Steel Plants, Food , Beverage & capital goods industries, Effluent Treatment & Sewerage plants, Water Treatment, Cooling Water & Water Supply plants, Mining industries etc.